This is my go to fish recipe. It is quick, easy and can be used on just about any type of fish. I chose tuna this time and served it with parmesan rice. I keep the blackening seasoning in my pantry so that I have it on hand. The recipe makes 1/3 cup so put the extras in an airtight container, and it'll come in handy. 1. Sprinkle both sides of the filets with blackening seasoning. Set aside. 2. Option 1 stovetop: In a large cast iron skillet, over medium-high heat, add 2 tablespoons of oil. 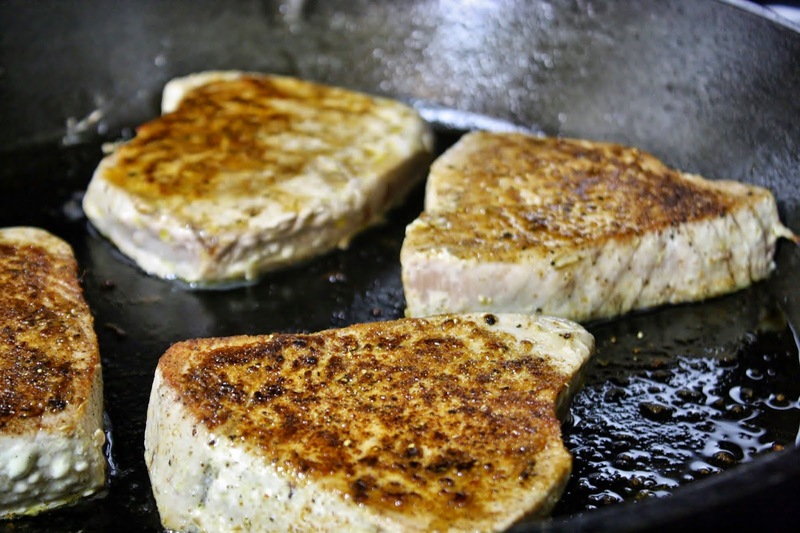 When hot add the tuna and cook each side for 2 minutes, searing in the juices. Reduce heat to medium and continue cooking until you reach preferred doneness. Option 2 grill: Heat a grill on high heat. Grill 1-2 minutes per side, to sear in the juices, and then reduce heat to medium-low and grill until you reach preferred doneness.